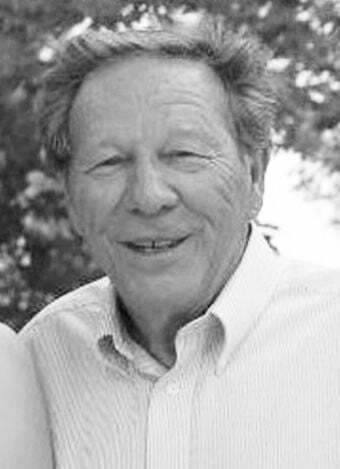 Edwin Eugene Weldon, age 78, of Lovilia, passed away on Wednesday, March 27, 2019, at the Comfort House in Pella, surrounded by his loved ones. Ed was born on March 20, 1941, at the Miners Hospital, in Albia, to William Edgar and Beulah Pearl (Martin) Weldon. Ed grew up and attended school in Lovilia, graduating from the Lovilia High School with the class of 1959. Following high school, Ed served his country in the United States Army and was stationed in Germany from 1959-1962. In 1964, he married Linda Frazier at the Methodist Church in Albia. To this union, a daughter, LinAnn, and a son, Bradley Allan were born. Ed worked at John Deere in Ottumwa for 31 years, first as a welder and later as a maintenance electrician, retiring in 1994. He was member of the Masonic Lodge in Lovilia, the United Methodist Church in Lovilia, and the American Legion Howard Cessna Post #136 in Albia. Ed is survived by his wife of 55 years, Linda of Lovilia; his daughter, LinAnn (Jeff) Flahive of Pella; three grandchildren, Emily, Jessica, and Daniel (Sydney) Flahive; two brothers, Bill (Betty) Weldon of Lovilia and Greg Weldon of Knoxville; and a sister, Judy (Ronnie) Conner of Lovilia. Ed is also survived by several nieces, nephews, cousins, and good friends. Visitation will be held from 2 to 8 p.m., on Sunday, March 31, 2019, at the Tharp Funeral Home in Albia, with Ed's family present throughout the day to greet family and friends. Funeral services will be held at 10:30 a.m., Monday, April 1, 2019, at the Lovilia United Methodist Church in Lovilia, with Pastor Raymond Doser officiating. Burial with military rites provided by the American Legion of Albia, Melrose and Lovilia will follow services at the Weldon Cemetery in rural Mahaska County.